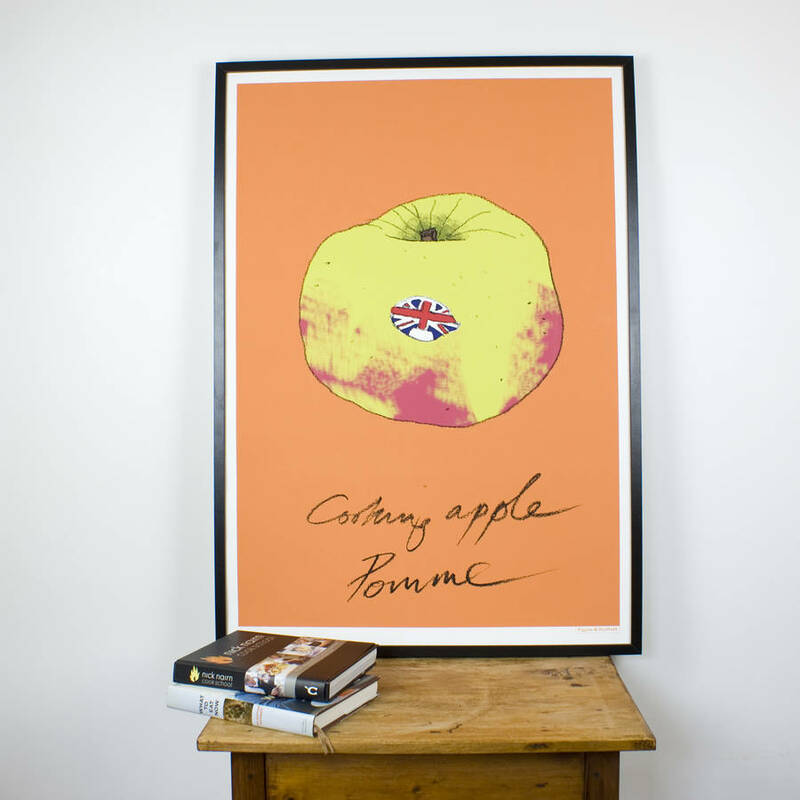 'Cooking Apple, Pomme' - A vibrant showpiece print for your kitchen, printed using giclee process ensuring a great quality finish on lightly textured paper. 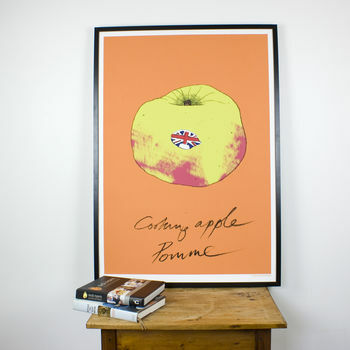 'Cooking Apple, Pomme' would make an ideal statement piece in any kitchen, provide the finishing touches to a new kitchen or perhaps make a unique house-warming gift. The print was hand drawn and then coloured digitally. Made in Scotland, using the giclee process to produce the prints ensures a consistent colour reproduction and a long shelf life. A top coated matte archival artist paper with a subtle texture which is made from 100% cellulose, for producing high quality fine art reproductions or fine art photography. The coating ensures stunningly brilliant colours with superb flatness with high density blacks. Ideal for classic paintings. Print Care: Although giclee prints are touch-dry when they come off the printer, the inks need some time to bed-in. How you handle and display your prints in the days following delivery will have long-term effects on their stability. For the first two or three days, don't allow the print surface to be rubbed or scuffed. 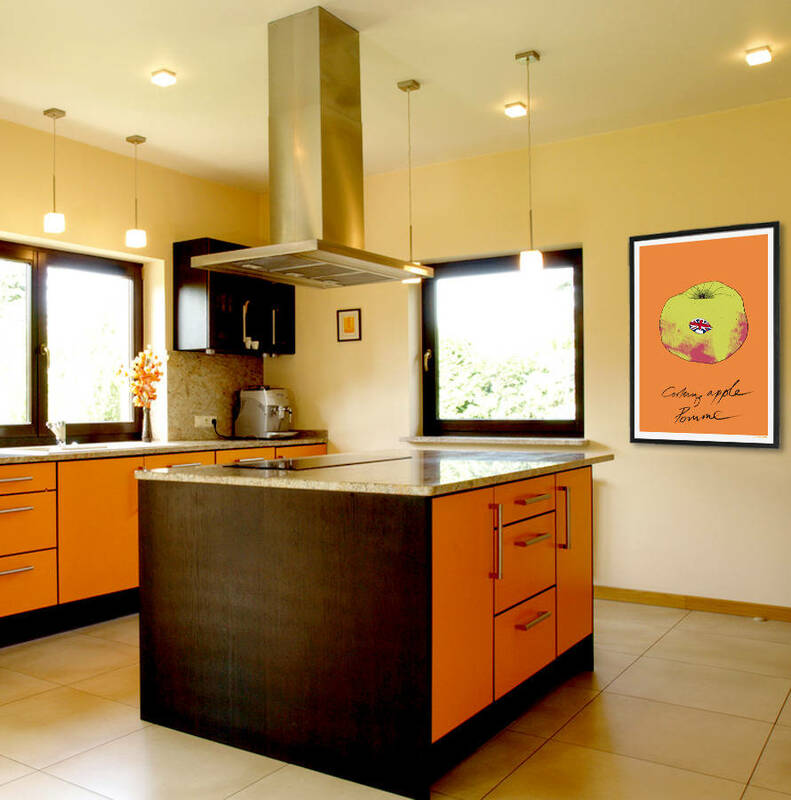 Avoid displaying giclee prints in direct sunlight! All dyes eventually break down under exposure to UV light: the less exposure, the longer they'll last. Until the inks have properly cured, exposure to water or water vapour may cause the dyes to migrate through the paper, causing a smudged appearance. Exposure to volatile liquids and vapours, as found in some cleaning products, can cause the dyes to break down very quickly. Having stated all that, please be reassured that with normal, careful handling, giclee prints will remain fade-free for up to 75 years. This product is dispatched to you by Pigpen & Birdbath.